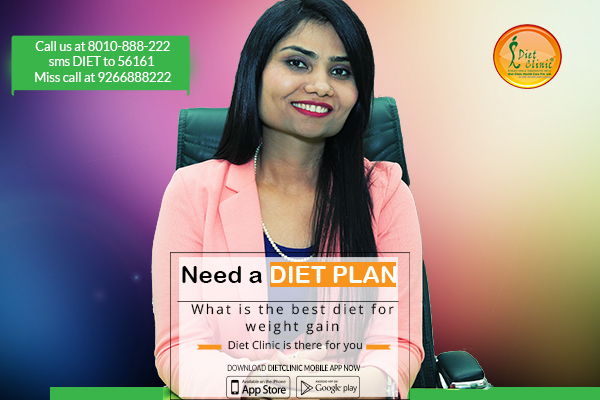 The high-calorie diet is a diet that should provide, on average lot of calories more than conventional food says Dietician Sheela Sherawat of Diet Clinic. Achieving and maintaining a healthy weight is a massive problem for many people. While it can be challenging to lose weight, gaining a few pounds is just as crucial for many people. Wondering how to grow bigger quickly? Here are some high-calorie foods and nutritional strategies that will allow you to gain weight gradually. Incorporate foods rich in calories into Healthy Diet Plan to gain weight. The following foods are included in your menus to gain weight. They can bring more calories to the body without increasing the volume of meals. Fats and oils including olive oil. Variety of nuts like almonds and walnuts. Root vegetables such as potatoes. Consume food with a lot of calories - The energy density of food defines the number of calories per gram of that food. The energy density is influenced by the water, fiber, sugar and fat content of the food. Water and fiber reduce energy density, while fats and sugars increase it according to Best Dietitian In Delhi. With a high energy density diet, you consume more calories for a specific volume. For people trying to gain weight, it is essential to choose foods with high energy density. Eat dense energy food - Hearty meals obviously favor weight gain. But you can also choose to add certain ingredients to Best Diet Plan to increase calorie intake without necessarily increasing the amount of the meal. It is ideal for people who have difficulty eating in large quantities. To make a meal high in calories add a fatty substance systematically to your dishes after cooking: vegetable oil in vegetables, in starchy foods, in soup. Consume meats, poultry, and fish with a gravy. Always add powdered milk into soups, creams, and milk. Drink juices, milk or syrups all day long instead of water. Add cream to dishes and desserts whenever possible: in soups, fruit salads, yogurts, etc. Eat plenty of healthy snacks - In addition to high-calorie meals, you need to incorporate some snacks in the day to achieve a reasonable calorie intake. You can choose to snack at 500 calories or several small snacks at 250 calories. It must be done according to possibilities and tastes. Exercise a little for hunger - Moderate physical activity is one of the best ways to stimulate your appetite, even if it burns a few calories. It is important to practice regular physical activity that solicits all muscles such as swimming, skiing, brisk walking, etc. It is essential to maintain the density of muscles and bones and health in general. Without physical activity, weight gain is likely to be in fat only, which is harmful to your health.